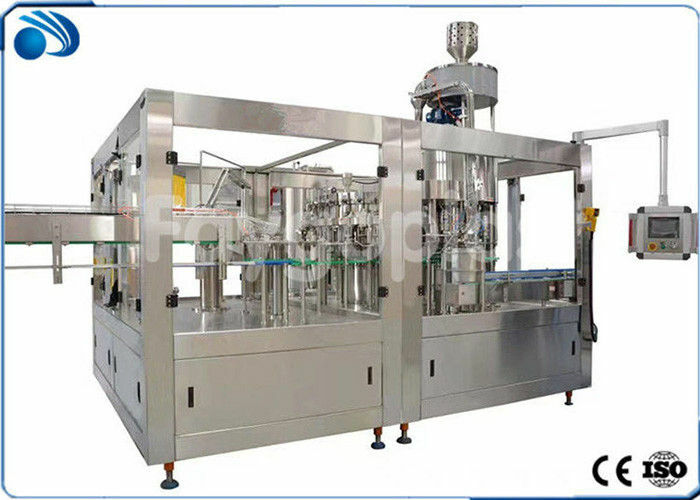 This CGF Wash-filling-capping 3-in-1unit:Beverage Machinery is used to produce PET bottled juice and other non-gas beverage. The CGF Wash-filling-capping 3-in-1unit:Beverage Machinery can finish all the process such as press bottle, filling and sealing. It can reduce the materials and Outsiders touch time, improve the sanitary conditions, production capacity and economic efficiency. 3) Stainless steel bottle clip, the clip does not touch the bottle screw, the rinsing nozzle is “plum blossom” shape, so it can care each inch of the bottle. 4) This machine adopts micro negative pressure hot filling, has high filling accuracy. 5) Screw capping machine designed according to Italy technical, France technology. 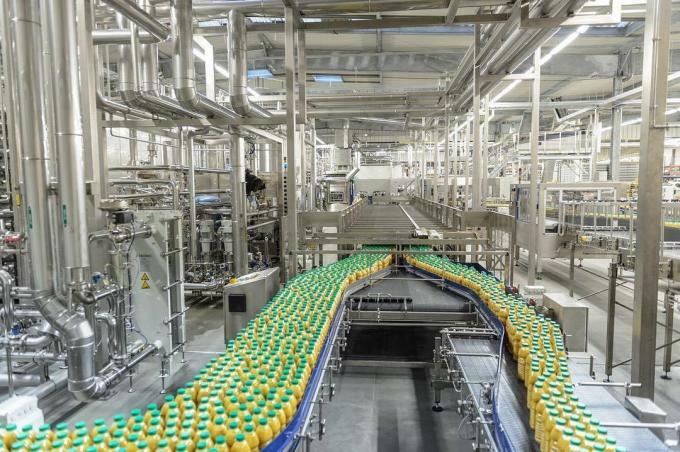 6) The cap feeder has the function of protection cap, and also can test no cap status and process cap adding.